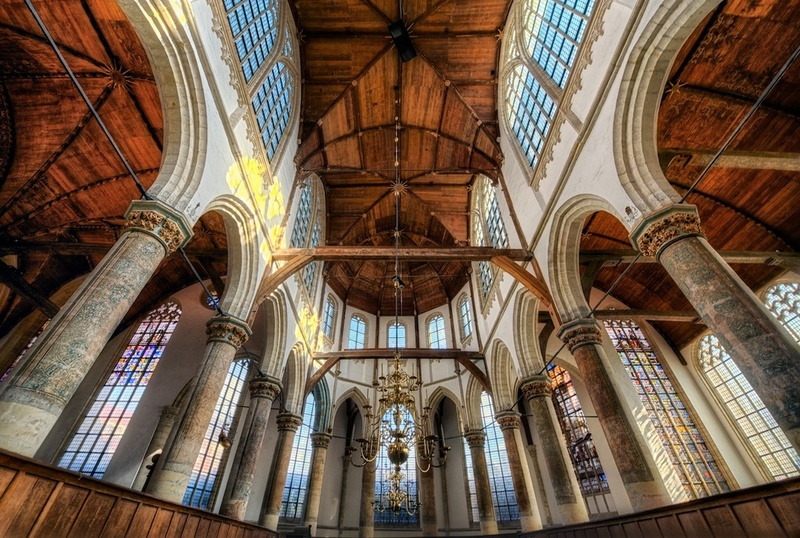 The Oude Kerk (literally, "old church") really lives up to its name. It's over 800 years old at this point, and is the oldest building in Amsterdam. It's also completely awesome, as you can see in the photo. Prior to heading to Amsterdam, I made a list of places I wanted to visit there, as I normally do. This one was definitely high on the list. I love visiting churches in Europe, as I always find them so photogenic and beautiful, and this one was no exception. I love how they mixed the use of stone and wood here, and found out that this is the largest medieval vault roof in Europe. That's pretty cool. Interestingly, this church sits squarely in the middle of Amsterdam's red light district. Sort of funny if you think about it, but I guess they need it there!